Home Kenyan News DONALD TRUMP is Not Joking With Kenyans Anymore After DusitD2 Terror Attack That Claimed 21 Lives-See What FBI Did to These Kenyans in The US? DONALD TRUMP is Not Joking With Kenyans Anymore After DusitD2 Terror Attack That Claimed 21 Lives-See What FBI Did to These Kenyans in The US? 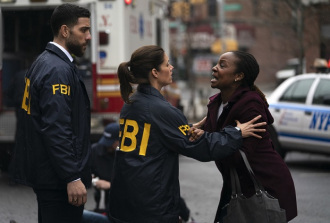 Wednesday January 23, 2019-Three residents of Michigan said to be born in Kenya were on Monday arrested by the FBI in Grand Rapids, Michigan state in connection to terrorism. According to the US Justice Department, the three identified as Muse Abdikadir Muse, 23, Mohamud Abdikadir Muse, 20, and Mohamed Salat Haji, 26, were then taken to court yesterday and charged with terrorism. According to Michigan Radio, one of them, Muse Abdikadir Muse known to his peers as Muse Muse, was arrested at Gerald R. Ford Airport. He was about to take a series of flights that would have eventually landed him in Mogadishu, Somalia, allegedly to later join ISIS terror group. In its complaint, the Justice Department said Muse’s co-conspirators, Mohamud Abdikadir and Mohamed Salat, aided in the purchase of the ticket and drove him to the airport despite them knowing their colleague was to join and fight for the terrorist organisation. The Donald Trump-led US Government provided a video where the three pledged allegiance to ISIS and their desire to join the terror group. You should people ain't naive brother.